This is the nail-biting series that launched this very blog. It was the largest remodel project I'd attempted to date. I took a week off work to complete it. Of course, that was optimistic folly. It took longer than expected with overruns of material, hidden surprises from prior remodelers, family tragedy, and other nonsense. I had one week of vacation scheduled to do this project. 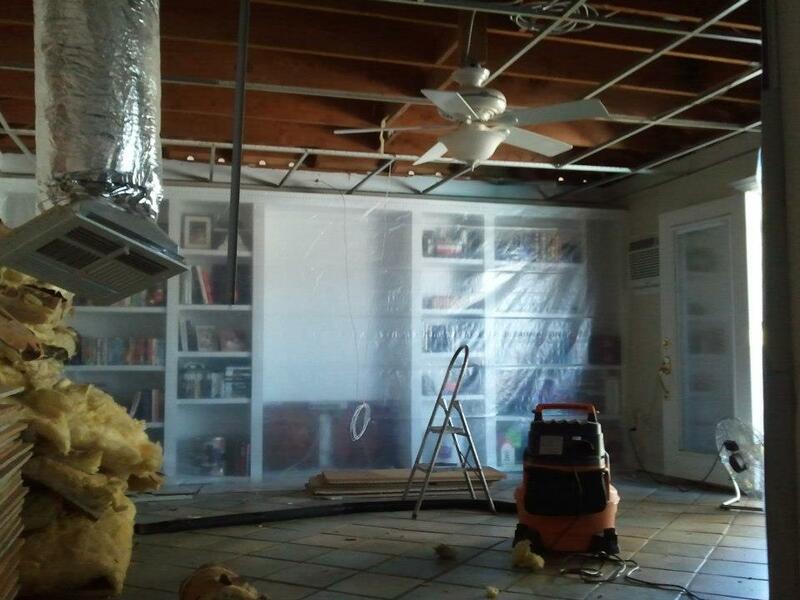 I tore out the ridiculous dropped tile ceiling and discovered a host of challenges. Cleanup, rough electrical wiring, and extending the wall face to hide an intruding header. I really love some framing nail-gun action! Skadoosh! Putting a new face on the extended wall. I wrap up the first of several unplanned cost and time-chewing detours that destroy my timeline. 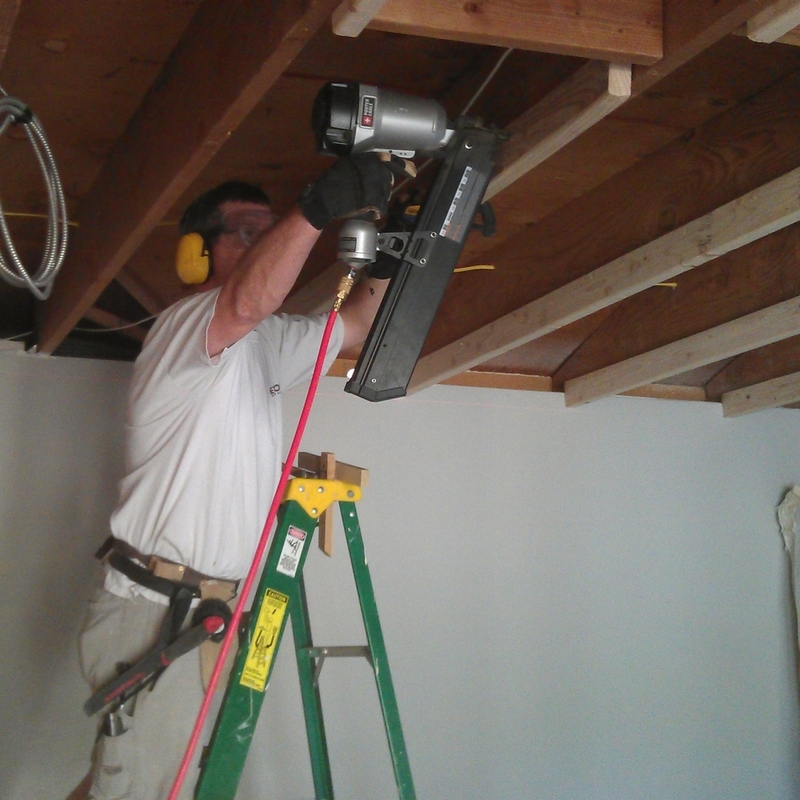 No two ceiling joists are the same height. I came up with a way to attach a level ceiling using 2x4s and a laser level. I'm installing new insulation too. I wrapped up some tricky framing around the edges and finished the insulation. Finally, the planks are going in! Real life happened. In the middle of the project, one of my younger brothers suddenly passed away. 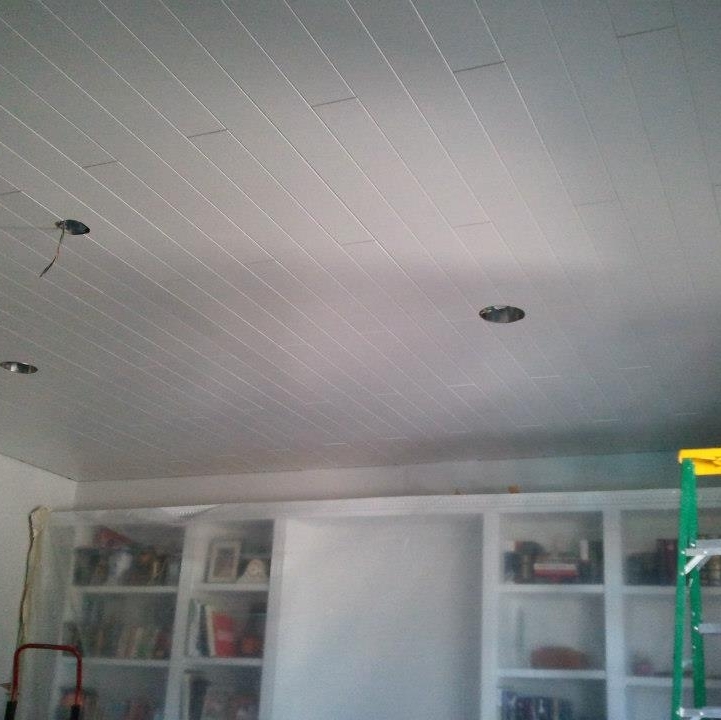 After a delay, I get rolling again and finish the ceiling. Working helps with the grief. Final touches! Dimmable LED can lights, crown molding, and chunky base molding go in. 5 work days planned = 20 work days actual. Here's the the ugly to the beautiful. See how those shelves looked when we first moved in too. Ughhh! I had the honor of being interviewed about this project by Marcie Geffner of Bankrate.com, She wrote about the "Rewards and Vexations" of DIY Remodeling. The article was picked up by Fox Business and Yahoo Finance.